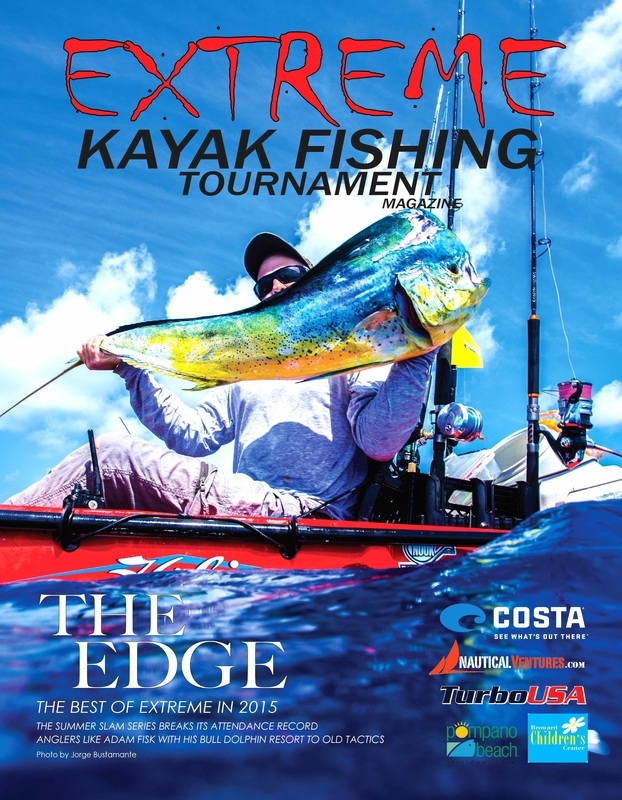 Extreme Kayak Fishing Magazine produces full-colored magazines. 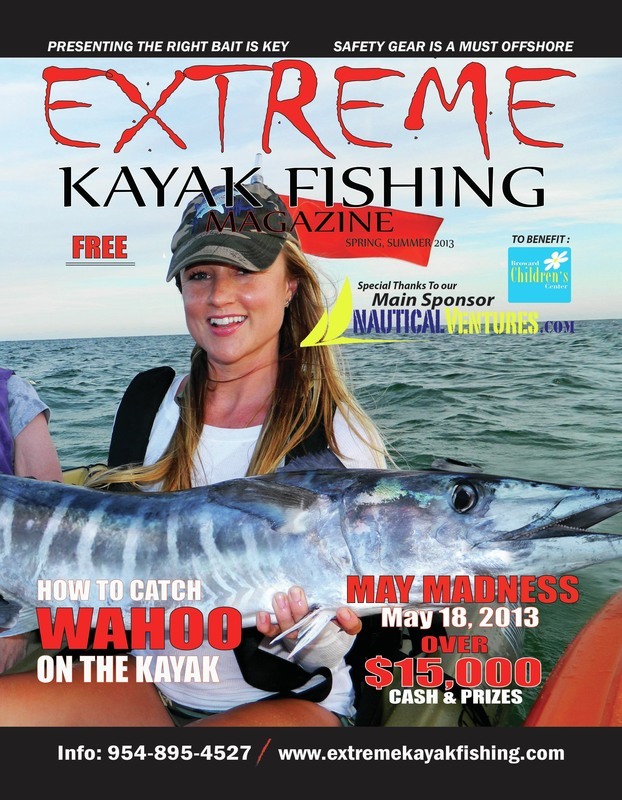 There are three different magazines printed a year, each with a circulation of approximately 20,000 copies per event. Circulation time is approximately 90 days per issue. 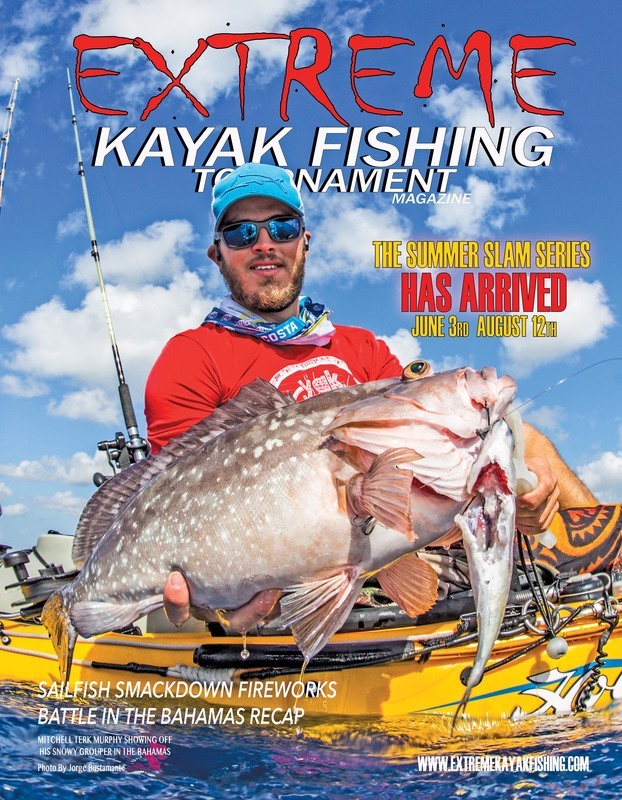 These publications are the centerpiece of our events. As an advertiser, trust us, you want to be here! 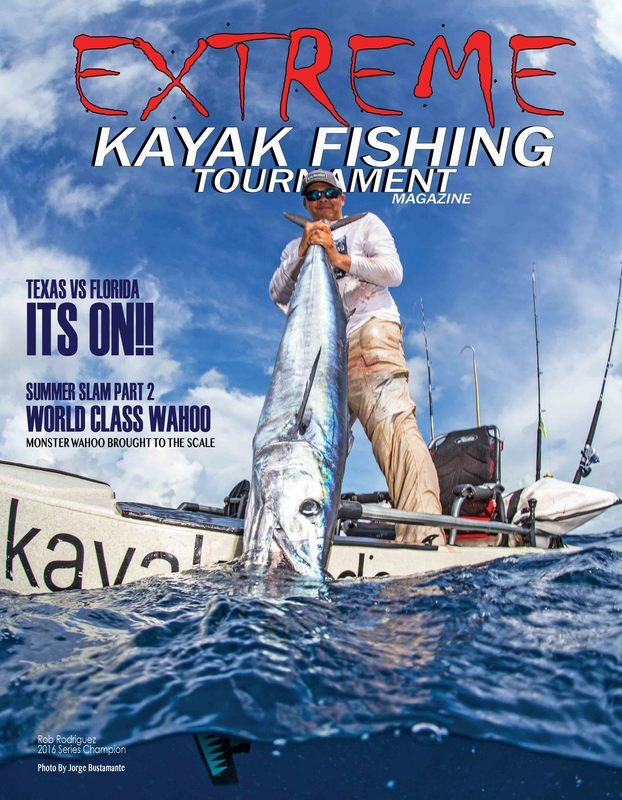 Our magazine will include tournament information, tips on catching the big pelagic fish from your kayak or SUP, news & events and much more. 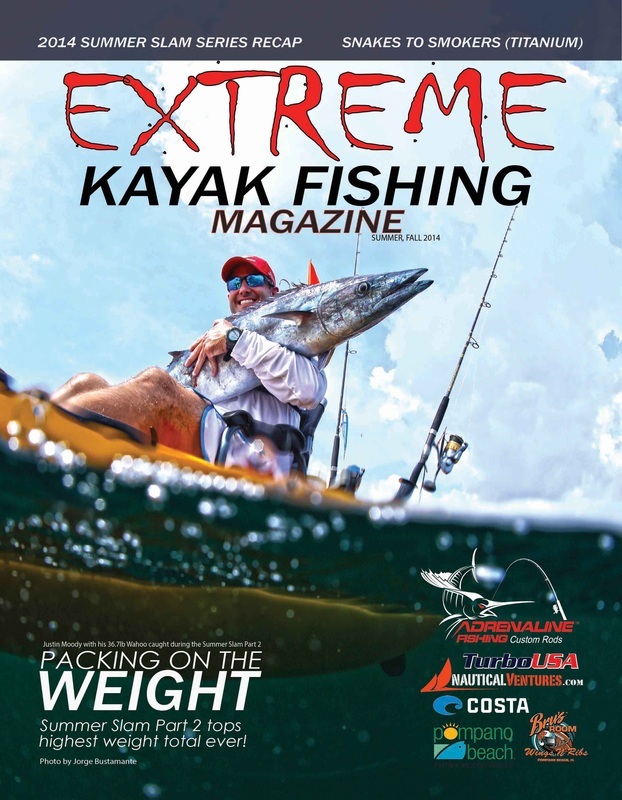 The Extreme Kayak Fishing Magazine will be distributed from West Palm to Miami Beach FL. 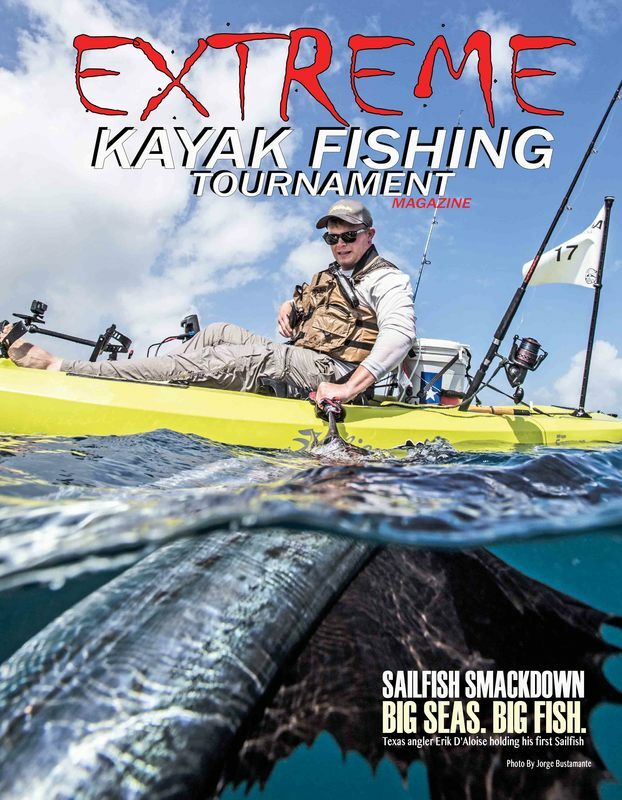 You can pick up this magazine at your local bait shops, surf shops, Dicks Sporting Goods, West Marine, Nautical Ventures & Bass Pro Shops. 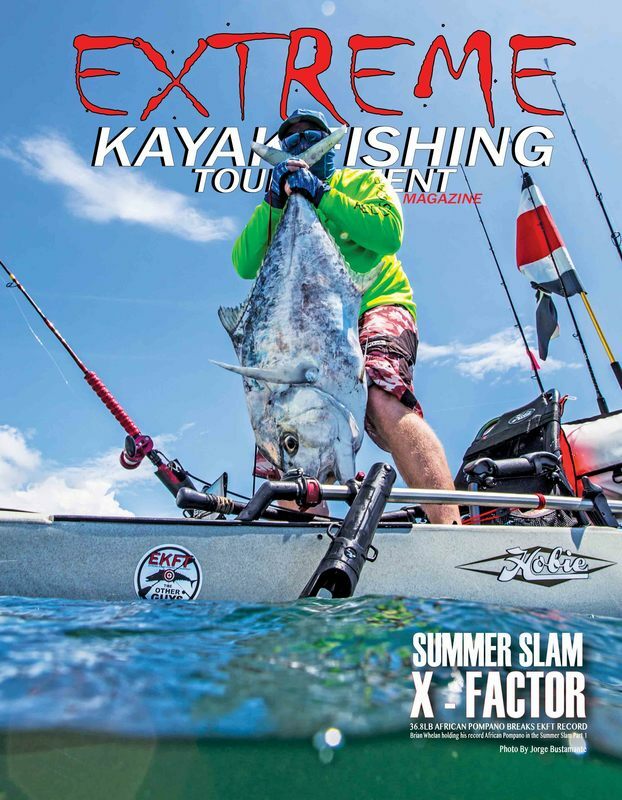 Subscribe for free and view the online version of the EKFT Magazine. 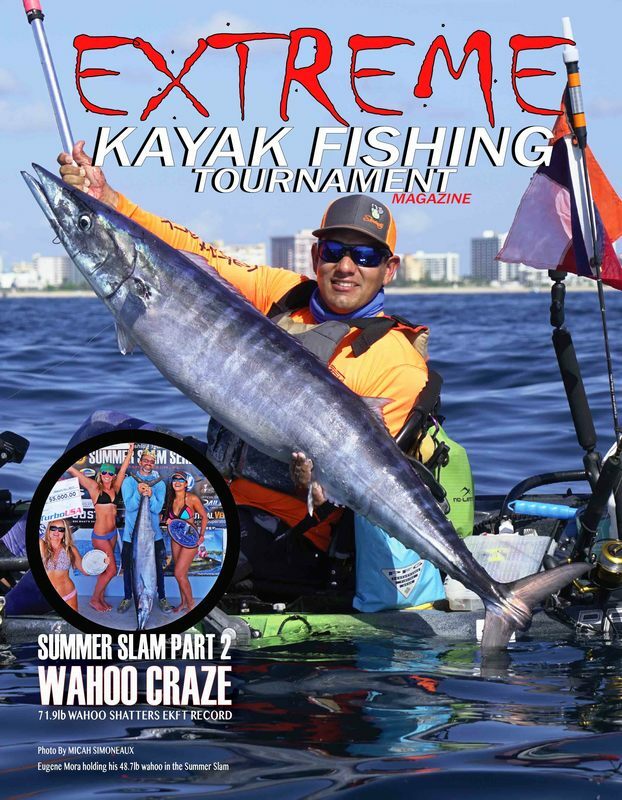 Also you will receive updates and special offerings via e-mail on everything Extreme!